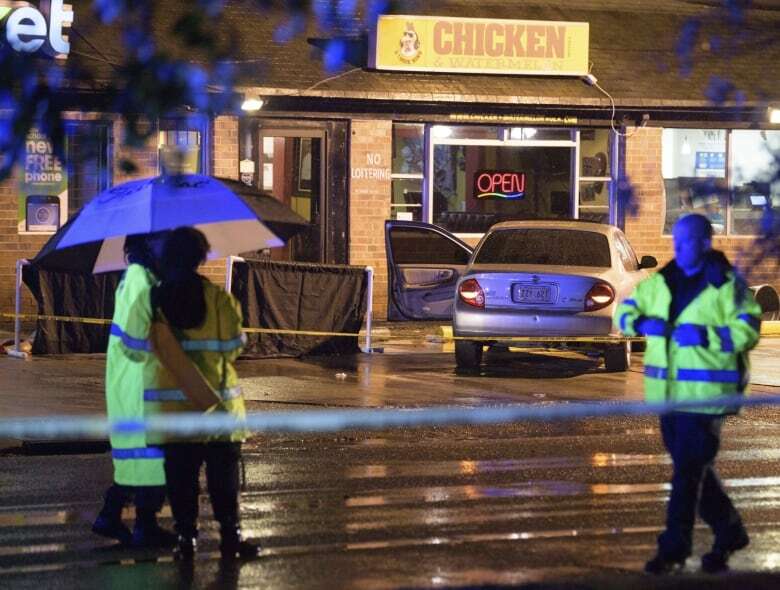 Two people wearing hoodies walked up to a crowd gathered outside a New Orleans strip mall on Saturday night and opened fire, killing three people and wounding seven more, the city's police chief said. The shooting happened on the 3400 block of Claiborne Avenue, about about five kilometres from the French Quarter, police said. Speaking to reporters late Saturday, Police Chief Michael Harrison said one of the shooters had a rifle and the other a handgun. He said they appeared to have fired indiscriminately into the crowd, striking 10 people. "We believe that they actually stood over one of the individuals and fired multiple rounds and then after that fled," Harrison said. Police responding to the shooting found three victims — two men and one woman — who were pronounced dead at the scene. Seven other victims — five men and two women — were taken to hospital. Harrison said one underwent surgery and was in critical condition. The other six were in various conditions but none were considered life-threatening. Harrison called on people to come forward and help police find the killers, and also asked people not to take matters into their own hands. "This was an extremely tragic incident. A lot of people were out here tonight. A lot of people, we know, saw what happened, heard what happened. And we need more than anything for people to come forward to help the NOPD right now solve this case," Harrison said. He said police do not know whether the shooting was gang-related. Lawrence Russo was buying a lottery ticket at a nearby gas station when he heard what he thought at first were firecrackers. He told NOLA.com/The Times-Picayune that he heard a total of 13 to 16 shots fired. "They never stop killing each other," he said, shaking his head as he spoke. Near the site of the shooting, beyond the police tape, people could be seen crying and hugging one another in comfort. 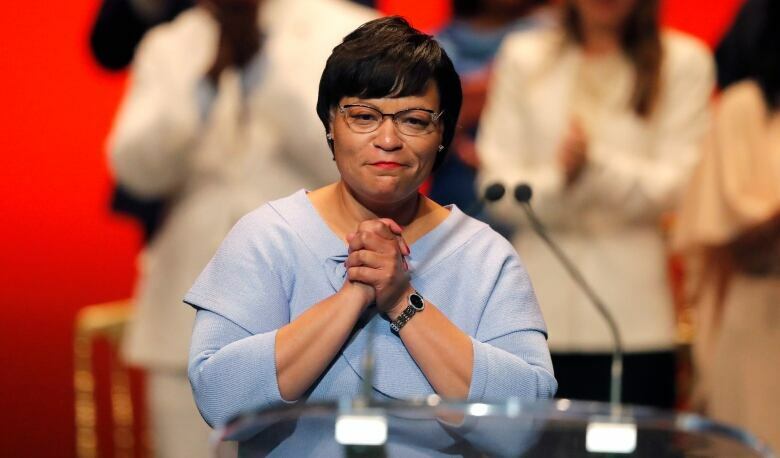 Mayor LaToya Cantrell said in a statement: "There is no place in New Orleans for this kind of violence. I speak for everyone in our city when I say we are disgusted, we are infuriated, and we have had more than enough. Three more lives — gone. It has to end. It's unacceptable anywhere."